Thanks to Shadow-Soft for hosting the ATL-JBUG. On Thursday August 28, 2014 we will talk all about FSW Goodness! Red Hat JBoss Fuse Service Works is Red Hat’s middleware solution for application integration, messaging, SOA, and service governance requirements. It combines multiple technologies from the middleware portfolio. Camel, CXF and ActiveMQ comprise the core ESB technology, SwitchYard provides the lightweight service development framework, and Overlord provides the design-time and run-time governance. -Review the SwitchYard application and the components including Camel, business processes, and rules in the application. Kenneth has spent the last year as a JBoss Technology Evangelist and has been with Red Hat for 4 years. Previously worked as a consultant for the government for the Department of Defense, Department of Homeland Security, and Intelligence Community. On July 2 Gary Announced the release of Overlord 1.1.0 Beta1. Our webinar this week, Runtime governance to achieve greater business visibility touched on some of the RTGov capabilities. See the information below for the Overlord announcement and the webinar information. The Overlord team is pleased to announce the release of Overlord 1.1.0.Beta1, comprised of SRAMP 0.5.0.Beta1, DTGov 1.5.0.Beta1 and RTGov 2.0.0.Beta1. We will also be launching our new website shortly (http://governance.github.io/). Please take a look and let us know what you think. Speak thanks to Ivan McKinley for Elasticsearch contributions, Michael Clay for work on the new RTGov UI, and help from the SwitchYard, ModeShape and Fuse teams. - I will show RTGov and Kibana presenting this data. - I will then create and deploy a RTGov EPN that reacts on the response time by creating “SLA breach” situations. - The previous example showed load average of 3 request per second. - This I deploy a EPN that utilises CEP. The rule aggregates requests hitting a service over a 1 second window. - potentially Combined with business data. Eg, over 20 requests for product X in the last hour. DZone has released the July 2014 Guide to the Internet of Things which you can find at http://www.dzone.com/mz/iot. Red Hat JBoss A-MQ is featured in the guide and the Profile is located at http://dzone.com/zb/products/red-hat-jboss-a-mq. The profile page also allows comparison of related products such as WSO2, Mulesoft, etc. On Monday July 28, DZone will release the July 2014 Guide which is on the Internet of Things. Red Hat is one of the research partners. Take a look at the guide on Monday and also check out the DZone IoT Microzone at http://www.dzone.com/mz/iot. Docker is a great way to build containerized development environments. I have posted base Docker build files for the products under https://github.com/jboss-dockerfiles. I am starting to build more demos with them which I will post in the future. I wanted to share another great demo this week that has been published. Patrick Steiner has put together a great demo that uses BPM-Suite, Fuse Service Works and Postgres Docker Images. This week I thought I would highlight some of the Fuse Service Works Components and Benefits. Red Hat JBoss Fuse Service Works (FSW) provides an environment for easily applying SOA concepts to integrated applications. A SwitchYard application consists of components such as composite services and composite references. These provide service definitions and accessibility. Along with SwitchYard, Red Hat JBoss Fuse Service Works is made up of a number of components including a rules-based router (Apache Camel), webservices framework (Apache CFX), and message broker (Apache ActiveMQ). SwitchYard leverages the power of Java EE6 and CDI to allow Java objects to become services by adding an @Service annotation to your bean. Beans are automatically registered at run-time and references to other services can be injected as CDI beans using @Inject. Use CDI in your JSP and JSF applications to inject enterprise services into the web tier. With declarative transformation in SwitchYard, you can define the transformation and types to which it applies. SwitchYard automatically registers and executes the transformation. Choose from Smooks, Java, XSLT, JSON, and more. Encapsulate business rules as decision services using the JBoss Rules component in SwitchYard. Each service has a well defined contract with protocol binding details and marshaling details abstracted away by SwitchYard. This transformation engine can be used in conjunction with Red Hat JBoss Fuse Service Works to process messages. You can use web services to orchestrate business rules using this language. It is included with Red Hat JBoss Fuse Service Works for the execution of business process instructions. This is the rules engine that is packaged with Red Hat JBoss Fuse Service Works. It can infer data from the messages it receives to determine which actions need to be performed. Comprehensive unit test support is provided to allow you to test services as you develop them. You’re hearing a lot about big data these days. And big data and the technologies that store and process it, like Hadoop, aren’t just new data silos. You might be looking to integrate big data with existing enterprise information systems to gain better understanding of your business. You want to take informed action. * Can help you integrate your existing and growing data infrastructure. * Integrates big data with your existing enterprise data infrastructure. * Lets non-technical users access big data result sets. We’ll also provide typical uses cases and examples and a demonstration of the integration of Hadoop sentiment analysis with sales data. A new video has been released that was recorded during the Red Hat Technical Exchange in the APAC region. More videos can be found at the APAC You Tube Channel - http://www.youtube.com/user/redhatapac. * How to install the Fuse cartridge. * How to access and use the Fuse Management Console. * How to deploy and test a Fuse bundle. The video was recorded during the Red Hat Technical Exchange in the APAC region. More videos can be found at the APAC You Tube Channel APAC - http://www.youtube.com/user/redhatapac. Join Ivan and myself for the webinar on Fuse Service Works and Run Time Governance which is July 24, 2014 at 11am EST. To register click on the link below. For more detail see the below. Breached SLAs, customers identifying your problems before you do, excessive problem identification time, and the time-consuming and costly task of combining data from various systems. Sound familiar? Runtime governance can help. Runtime governance consists of the collection, correlation, analysis, and presentation of realtime results based on activity events collected from heterogeneous distributed environments. It gives operations and business owners visibility into the health and behavior of a system to react to a combination of events from different systems. - Ivan will show RTGov and Kibana presenting this data. - Ivan will then create and deploy a RTGov EPN that reacts on the response time by creating “SLA breach” situations. - Ivan will deploy a EPN that utilises CEP. The rule aggregates requests hitting a service over a 1 second window. 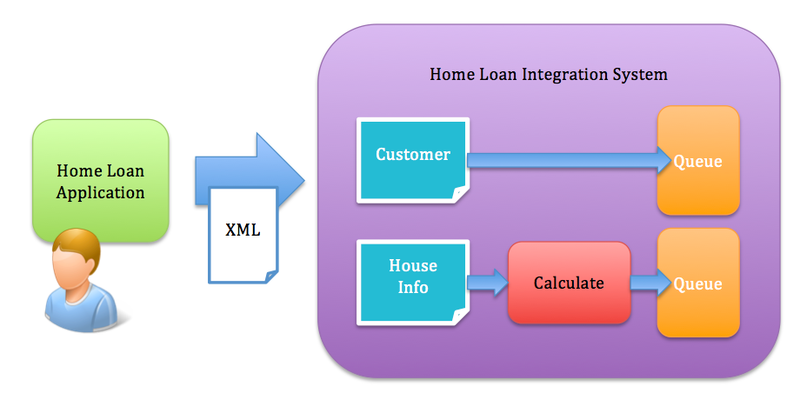 Checkout Christina Lin's Blog and Video on the Home Loan Demo for Red Hat JBoss Fuse 6.1. JBoss Fuse Getting Started Home Loan Demo Part 1 from christina on Vimeo. Please join us Wednesday if you are in the San Francisco area for our meetup on Fuse on Openshift. • How to install the Fuse cartridge. • How to access and use the Fuse Management Console. • How to deploy and test a Fuse bundle. Please join us next week at Anaplan if you are in the San Francisco area for our meetup on Fuse on Openshift. Customers want to integrate their enterprise assets (on-premise or in cloud) for competitive solutions, share integration services and collaborate with different teams for improved productivity, increase visibility into business transactions for more responsive enterprise. Red Hat JBoss Fuse Service Works is the answer.